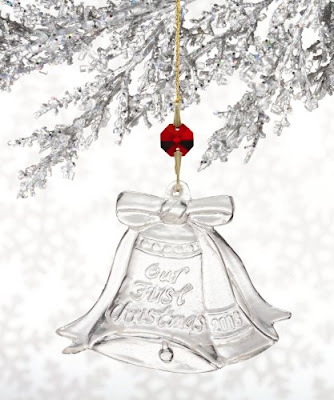 I've previously mentioned getting a "First Christmas Together" ornament that is so important to commemorate your first Christmas season together as a husband and wife. I found another beautiful option that is available with a slightly different style. Be sure to get your Marquis by Waterford 2008 "Our First Christmas" Ornament.